This evening, Karen Kwiatkowski, the Republican challenger to Representative Bob Goodlatte (VA-6), will be speaking on the campus of Mary Baldwin College. This presentation will be followed by a question and answer session. If you care to attend, this event will be taking place at the Frances Auditorium (which is in the lower campus), starting at 7 PM and is hosted by the College Republicans. Did you miss out on Lobby Day 2012? 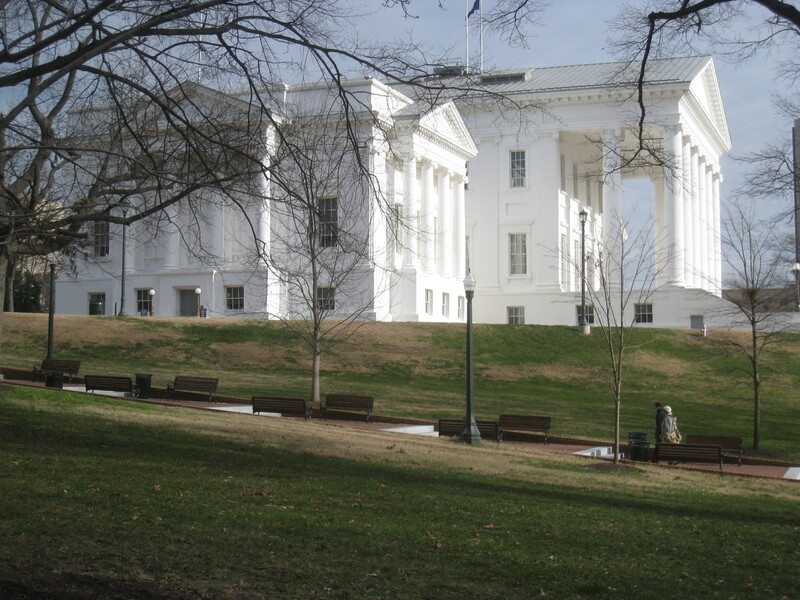 Have you ever been to the Virginia Capitol in Richmond, Virginia? Well, here is a slide show of some people and things you should have seen (plus a hungry squirrel enjoying a cracker at the capitol entrance). Enjoy! Please note, the music is not mine but rather a built-in soundtrack from the fine folks at Apple Computer. Making video slide shows like this one is particularly easy…if you own a Mac. 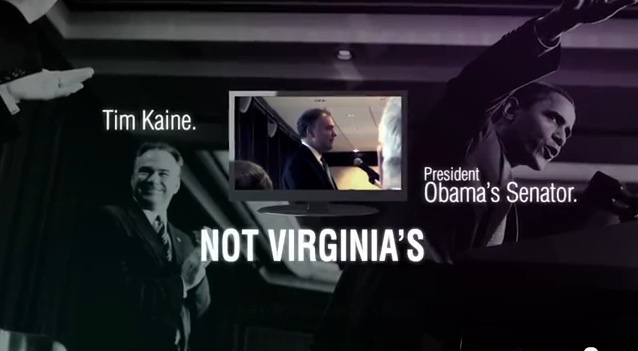 Given his more or less steadfast support of President Obama, one can certainly make the claim that, if elected, Tim Kaine will be more of an agent of Obama than he will be for the citizens of Virginia. But what about George Allen’s previous record in the Senate? Anyone remember him supporting No Child Left Behind, Medicare Part D, the conflict in Iraq, and raising the debt ceiling time and time again? During his six years in the Senate didn’t he endorse a lot of troubling bills and programs that flew in the face of limited government conservatism that then President George W. Bush supported? Therefore, using this same logic, couldn’t you easily scratch Kaine and Obama out of the picture and replace them with Allen and Bush? This year, the citizens of Virginia have a choice for both the Republican and Democratic nominees for Senate. If you like the big government policies of Obama, then you should choose Tim Kaine. Then again, if you preferred the big government policies of Bush, then you should support George Allen. Frankly, I want a Senator who will always stand up for my values and not simply be another mouthpiece for a president. We can do better than either Kaine or Allen. We have that choice. The only question is will you have the courage to make it? 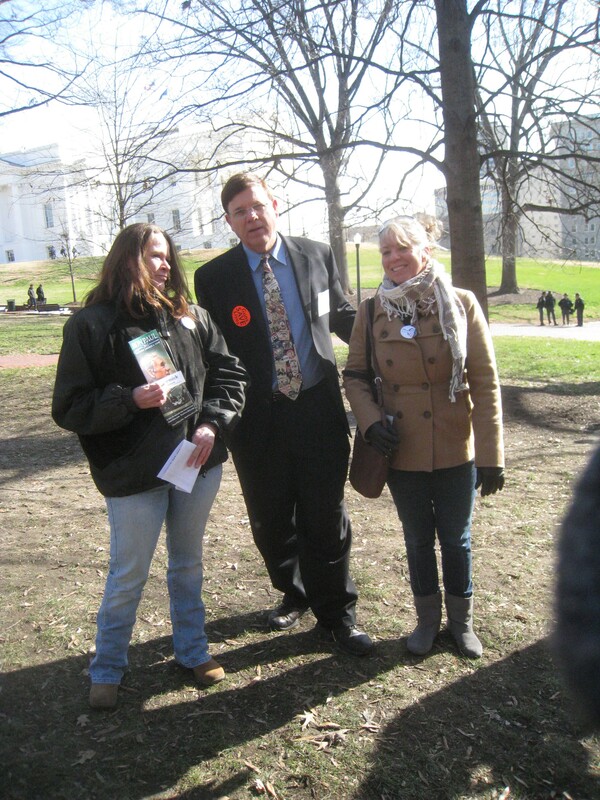 On Monday, political activists from across the commonwealth of Virginia gathered in Richmond to participate in the annual Lobby Day. Shortly before 7 AM that morning, I boarded a bus headed to the state capital to participate in these activities. My fellow passengers included other members of the Shenandoah Valley Tea Party as well as the Valley Family Forum, and even a person or two from the Virginia Citizens Defense League. After Harrisonburg, we made stops in Staunton and Waynesboro, picking up additional folks along the way. With our busload of around thirty-five, we crossed over Afton Mountain and made our way to our destination. Shortly before arriving, we discovered that the pro-life presentation offered by the Family Foundation had reached its capacity, so Lois Paul (one of the tea party leaders), Lisa McCumsey, (the campaign manager for Karen Kwiatkowski), and myself decided to explore the capital on our own. Our first stop was the general assembly office building. Although most delegates and senators were unavailable, I did appreciate the opportunity to speak with Delegate Landes (R-25) and my own Delegate, Tony Wilt (R-26) about their upcoming legislative proposals. From there, we gathered with supporters of the Virginia Citizens Defense League around the bell tower on the capitol grounds. At this rally, I found two of the Republican candidates for U.S. Senate. 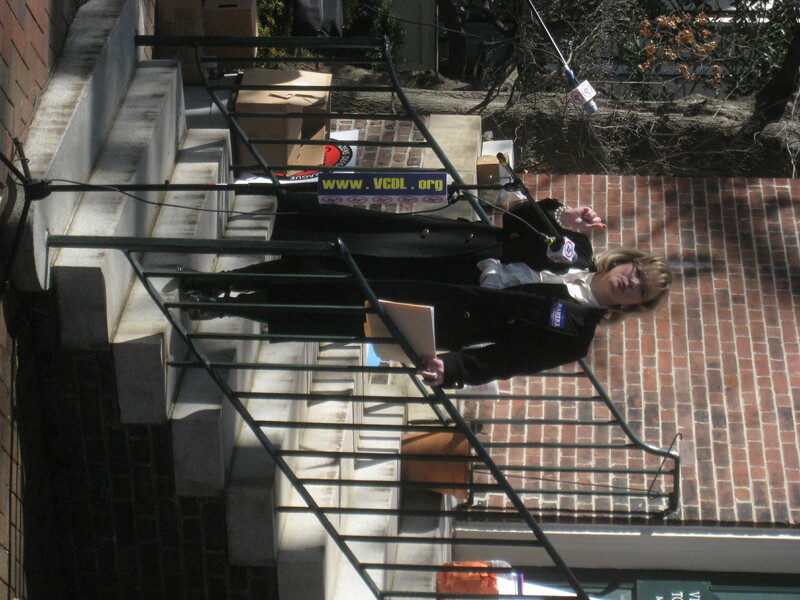 While Jamie Radtke spoke to the crowd, David McCormick milled around the crowd gathering signatures to be on the ballot. After that, we enjoyed lunch at the Tobacco Company restaurant. In the lounge of that establishment, the newly formed Central Virginia Tea Party welcomed visitors. Surprisingly, I ran into the Virginia chairman for the Gary Johnson campaign while returning from the restroom. We chatted briefly about the presidential race and each offered a bit of speculation as to the future of the Ron Paul movement. From there, we toured the capitol building itself. Unfortunately, by this point, neither the House nor the Senate was in session and so we could not enter those chambers. Shortly before our return to the bus, Delegate Bob Marshall crossed our path. He was on the way to the capitol to present a new bill. 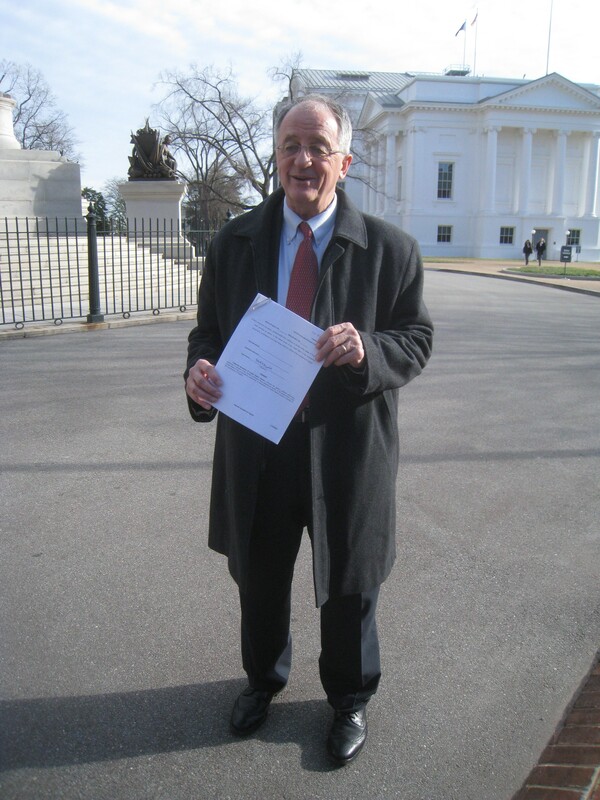 He stated that his proposal would exempt Virginians from unconstitutional detentions allowed in the recently signed National Defense Authorization Act. I’m always glad to discover new ways that our legislators are working to protect us from the excesses of the federal government. On the ride back, several of us collected signatures for the various Senate and House candidates while a good chunk of the attendees took the opportunity to nap. 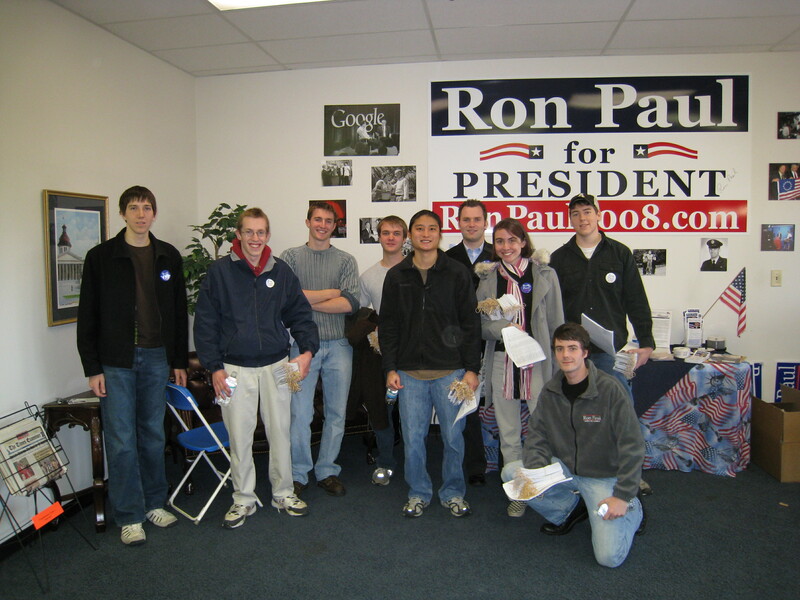 About half of my fellow riders accepted a DVD explaining why they should support Dr. Ron Paul in the upcoming March 6th primary. All in all, it was a great trip. If you couldn’t make it to Lobby Day 2012, I recommend marking your calendars in advance so that you won’t miss out next time. Last week, I contacted the campaigns of all of the Republican candidates for Virginia’s U.S. Senate seat as well as Democratic frontrunner Tim Kaine. My purpose in doing so was to discover each of their positions regarding the recently passed National Defense Authorization Act. As you might imagine, I am quite dismayed about the prospect of giving the president the authority to indefinitely detain any person, be they an American citizen or not, without a trial. I had hoped that each of the candidates would take a strong stance against this potential injustice. Well, seven days have passed since my inquiry. What to do you expect each of their responses was? First, I didn’t get a reply from Tim Donner. Given that he ended his campaign shortly after receiving my question, this outcome comes as no surprise. Nor did I get any sort of answer from either E.W. Jackson or David McCormick. The reasoning for this lapse likely stems from the fact that neither seem to have very organized or responsive campaigns and likely do not have a person devoted to answering such questions. Then again, neither George Allen nor Tim Kaine offered any sort of opinion either. My guess here, given their records, is that like John McCain and Mark Warner both support increasing the power of the federal government at the expense of minor things like the Constitution. Of course, I could be wrong. I hope that I’m wrong. At this point, to the best of my knowledge, only one of the Senate candidates has come out in opposition to NDAA. That candidate is Jamie Radtke. As she wrote in a recent article, “Today, men and women of zeal are pushing through legislation that will seriously undermine our Constitution and set back the cause of liberty that men and women have fought and died for since 1775.” She goes on to add, “The NDAA writes into law the unconstitutional authority claimed by the president to indefinitely detain American citizens suspected of supporting terrorism and denies them the right to due process or trial. Worse, it allows the U.S. government to detain Americans as long as we are at war with terrorists, and this is a war with no end in sight.” You can read all of her thoughts on her website. As Virginians look to elect or re-elect a president, a senator, and eleven members of the House of Representatives in 2012, I believe that it is imperative that we choose candidates who respect our Constitution and the rule of law. Giving the president new and unconstitutional authority to imprison us is not the kind of leadership that I’m hoping to find. Therefore, I call on each of the candidates to join Jamie Radtke in denouncing NDAA. Here’s my take home message for my fellow Virginians: If a candidate does not issue a firm commitment to protecting the people from overreaches of the government, then he or she should not be considered as a reasonable choice for any elected office. What Does Bob Goodlatte Have Against the Internet? VC note: Several days ago, I shared a piece from Jamie Radtke regarding her opposition to Stop Online Piracy Act or SOPA for short. This evening, I’m pleased to offer another article on the topic from Karen Kwiatowkski. While we don’t believe ten-term congressman Goodlatte speaks Mandarin, he has a lot in common with the Communists in Beijing, at least when it comes to regulating and controlling the Internet. Goodlatte is the author of the House’s Stop Online Piracy Act, or SOPA, a costly regulatory attack on the Internet. It is supposed to reduce copyright infringement – a problem already on the wane due to new software business models, encryption and other technological breakthroughs that America used to be known for. In reality, SOPA will cause rapid and unnecessary government shutdowns of websites, and drive rights-holders and Internet service providers to do the same, all without due process. If 6th District voters want a law that violates the 1st and 4th Amendments, crushes free speech and small businesses, we should support Bob’s SOPA. SOPA is expensive and burdensome. If 6th District voters want a $50 million tax-funded spending hike in the coming years, we should support Bob’s SOPA. In simple terms, Vinton Cerf knows that if 6th District voters want to destroy the current workability the Internet domain name system AND drive American businesses and jobs overseas and underground – we couldn’t do better than to support Bob’s SOPA. SOPA won’t prevent online copyright violations. It is expensive, wrong-headed, harms both business and Internet architecture, and messes with the technological progress that has been made in the past 15 years. What can 6th District voters do? First, we should require that Bob Goodlatte cease and desist, and do no harm. While Goodlatte’s SOPA might be appealing in Communist China, North Korea, and Hollywood – it makes no sense, and runs counter to the letter and the ideals of the Constitution. Bob doesn’t learn from his legislative mistakes, and he’s in too deep with Hollywood and West Coast lobbyists. These mistakes include SOPA, his steadfast support of the Patriot Act, and his destruction of online gaming businesses in Virginia and across the country – in all of this, Bob just doesn’t get it. SOPA has been described as handing out “chainsaws in an operating room.” I have a strong suspicion that, in addition to not being able to understand how the Internet actually works, Bob Goodlatte has never used a chainsaw. There is good news, though. I’ve got several chainsaws Bob can borrow, and I’d be glad to give him lessons. Bob with a chainsaw, while certainly a frightening prospect, would be a lot safer for the nation than SOPA, and way more productive. 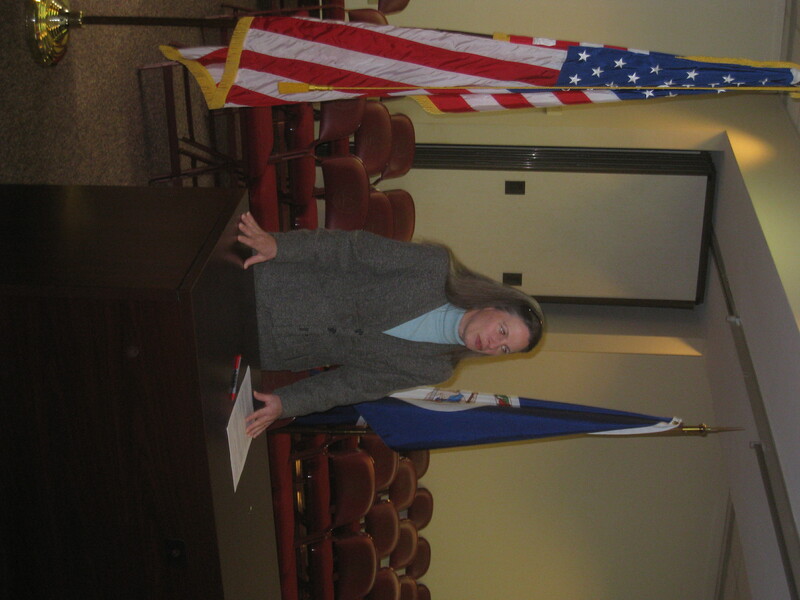 Karen Kwiatkowski, conservative Mt Jackson cattle farmer and veteran, is challenging Bob Goodlatte in the GOP Primary on June 12, 2012.